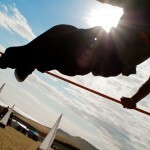 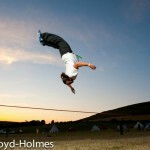 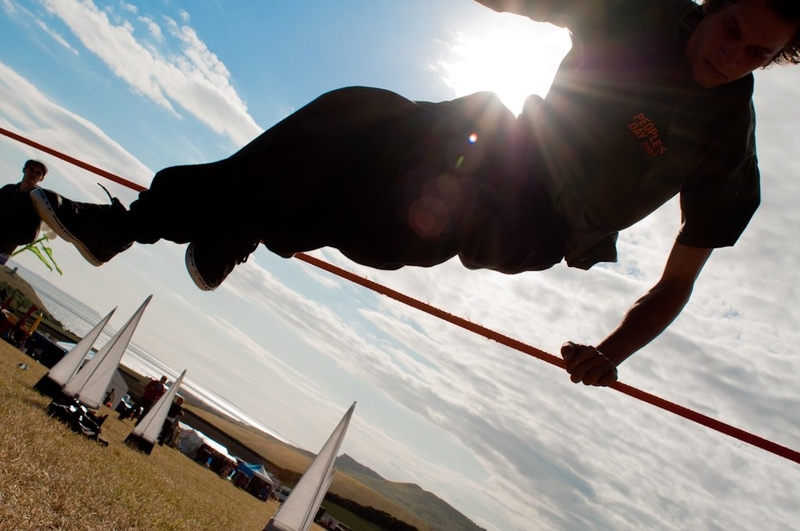 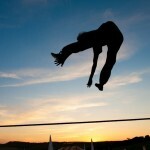 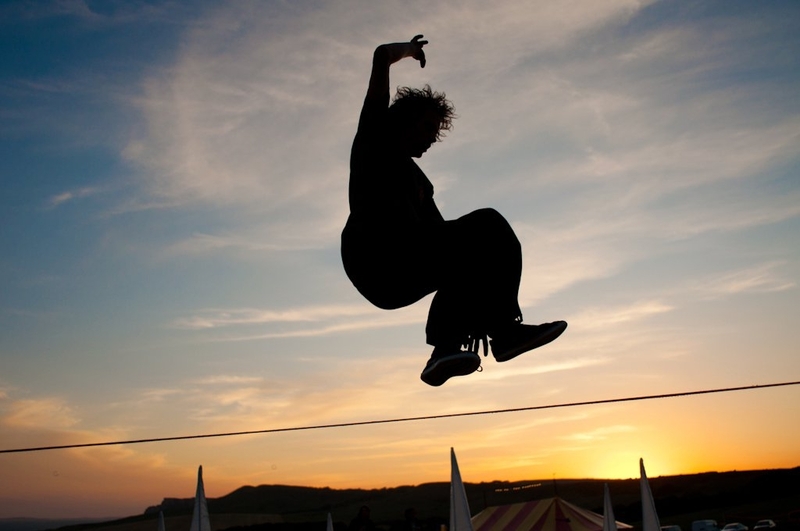 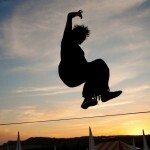 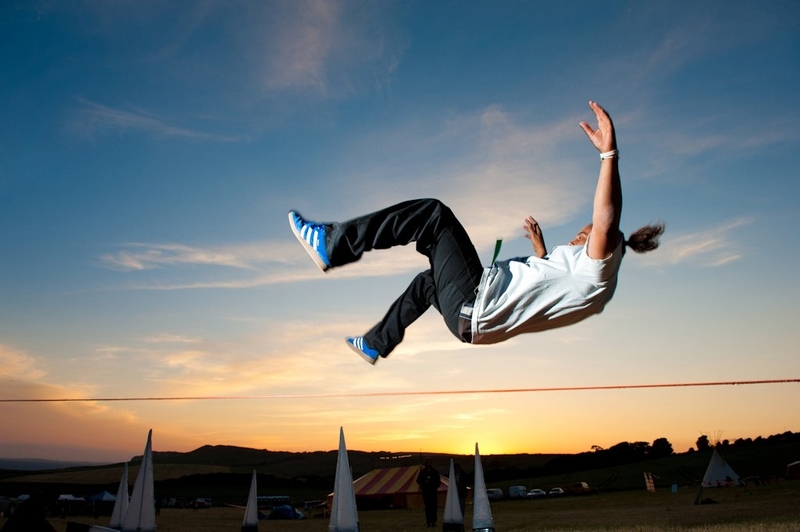 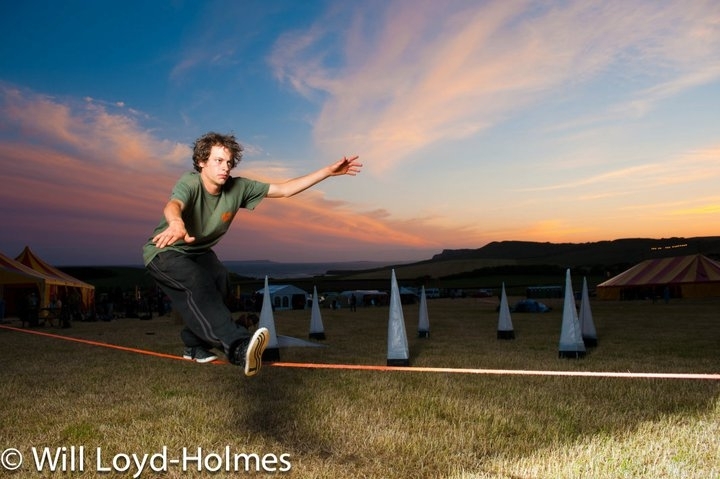 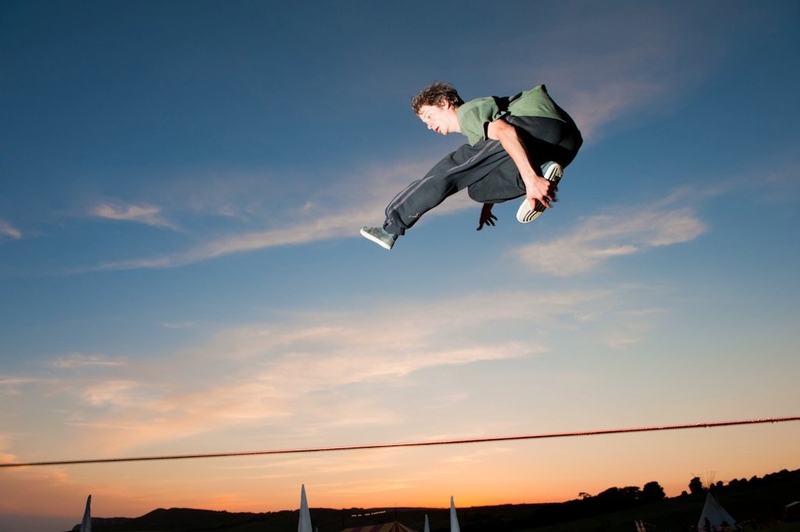 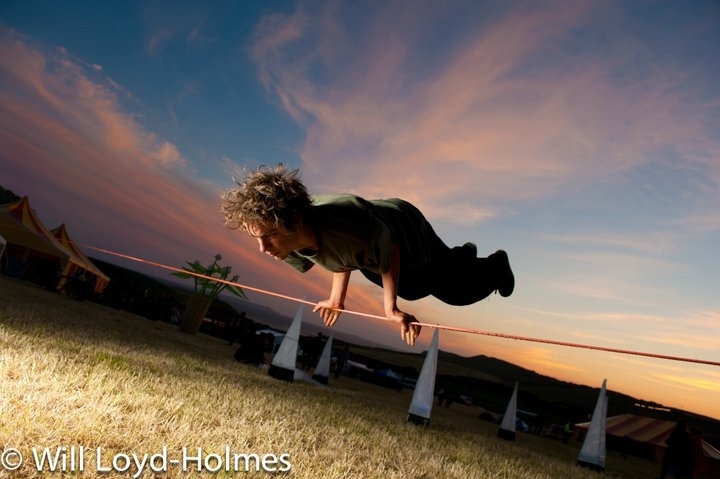 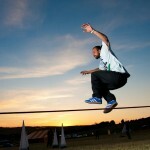 Southern Lights Festival 2011 – Slackline Demos & Workshops. 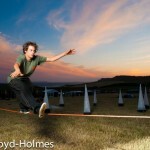 Southern Lights is a circus and street arts festival in an absolutely idyllic site on the south coast. 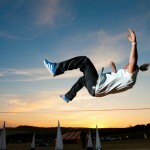 A very laid-back and friendly affair with an emphasis on workshops and sharing new tricks and skills. 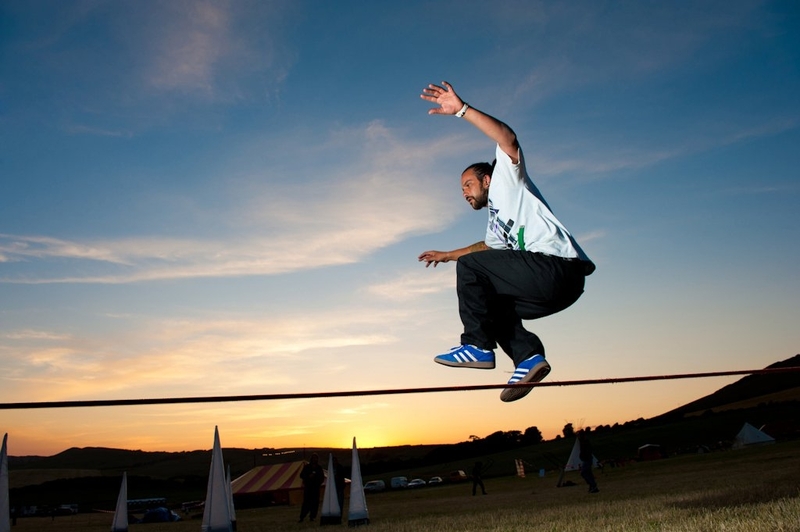 It’s been a regular event for us as it falls on Jake’s birthday, but this year was a little different as it was the first time we’d been invited as an official feature of the festival. 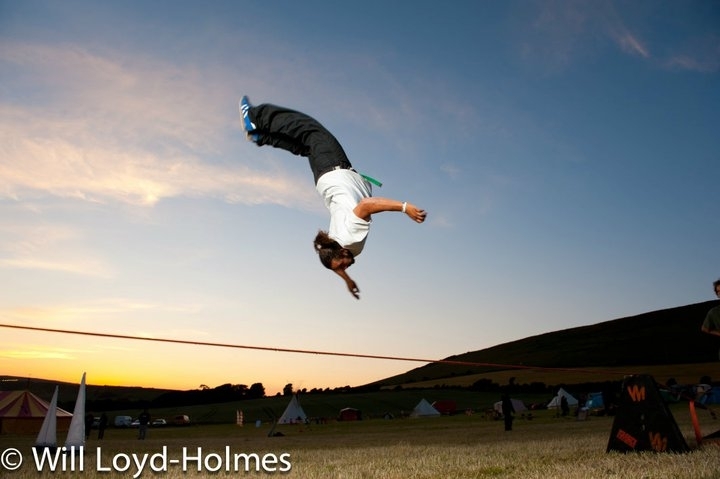 So, under the guise of Dr Schmoo’s Urban circus, We did what comes naturally and livened up the proceedings with slackline demonstrations and workshops backed by a soundtrack of live music from our house one-man-band Fergie, providing everything from chilled, jazzy breaks with live sax from Casey-Jane, to electronic filth somehow produced by a gameboy!? 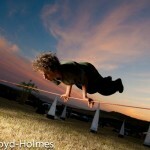 As always, from the moment the slacklines were rigged we were inundated with enthusiastic participants and intrigued spectators, young and old. 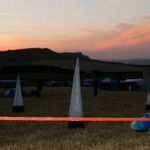 Many stayed with us for the whole day, missing workshops due to full blown slack-addiction, and it was great to see people making thier first ‘send’ of the whole line. 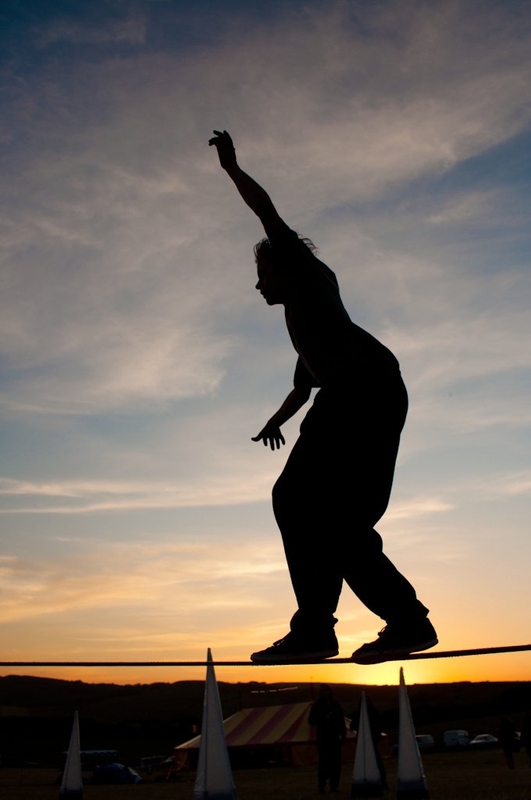 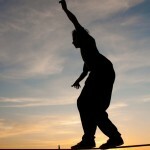 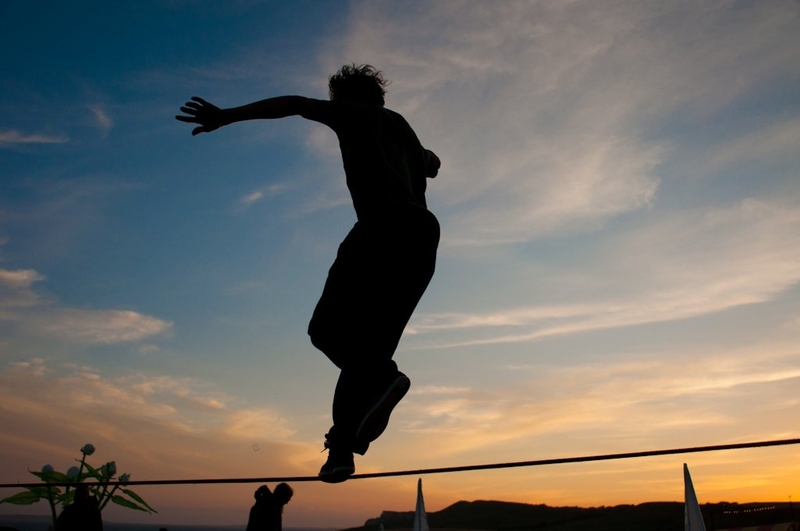 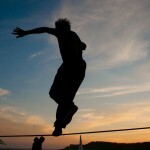 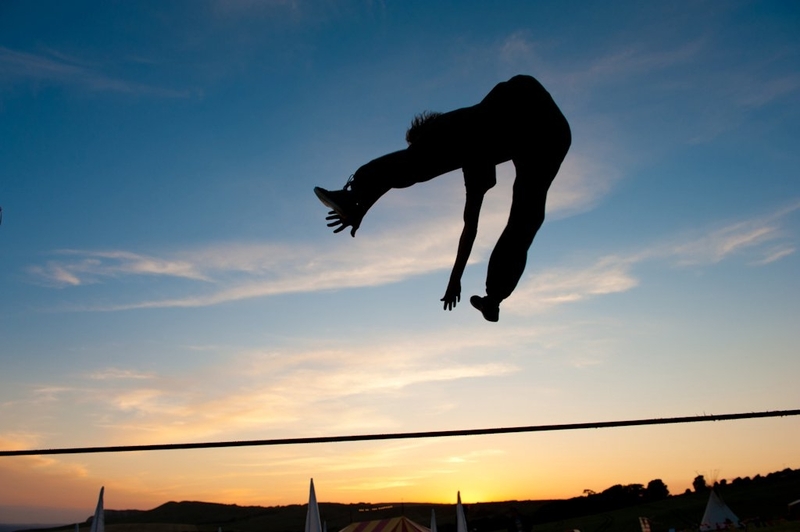 It reminded me of the excitement and satisfaction of first mastering the fundamentals of balancing on a line.